Hylo-Gel eye drops provide intense moisture for chronic dry eyes. Their unique gel formula ensures lasting relief and all-day moisture. 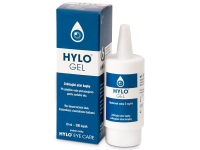 Hylo-Gel contains no preservatives and is suitable for use with all types of soft contact lenses. HYLO GEL are lubricant eye drops with an increased amount of sodium hyaluronate. 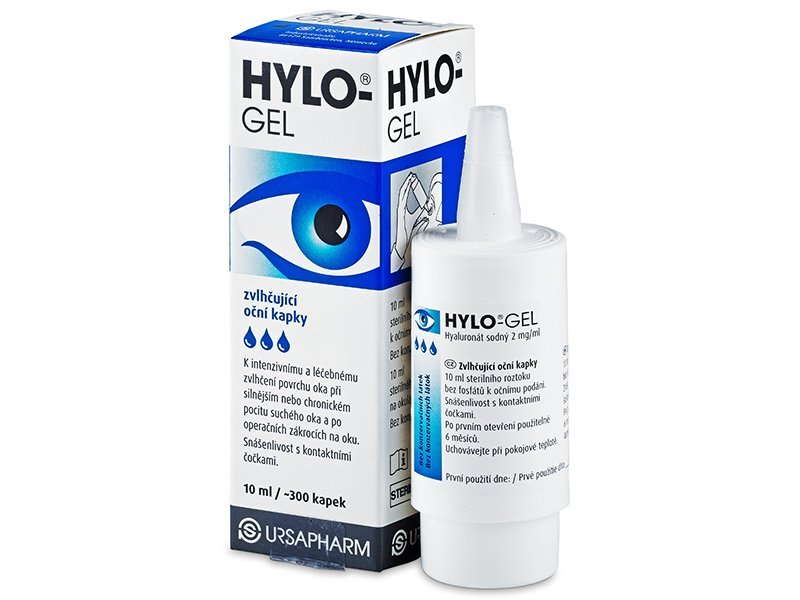 HYLO-GEL drops were developed by the pharmaceutical company Ursapharm to provide exceptional moisture for chronically dry eyes and after surgical procedures. HYLO-GEL eye drops also effectively lubricate all types of contact lenses. For contact lenses users, we recommend also using a solution containing hyaluronic acid for an even more comfortable feeling – for example Gelone or Laim-Care. The drops‘ increased content of sodium hyaluronate ensures the drops are highly viscous, meaning they will not drip out of your eye after application. They adhere to the surface of the eye, forming a protective cover, which prevents drying of the eye and promotes the ability of cells to regenerate. The absence of preservatives and phosphates eliminates the risk of possible side effects and allows the use of HYLO-GEL eye drops as needed without any restrictions. Their patented application mechanism, COMOD®, prevents contamination from microorganisms and ensures accurate dosing. HYLO-GEL eye drops must be consumed within 6 months of opening the bottle. Regular user of eye drops from Hylogel. Fantastic ! Always order these when i get my lenses. Keep my eyes moist when i'm working long hours. Been using these for many a year. Great product. Is the formulation identical for Hylo Forte and Hylo Gel? Hi, David, We would have to ask the manufacturer. Please contact Alensa Customer Support.